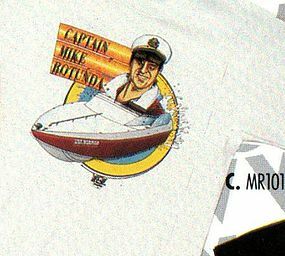 Someone Bought This: The infamous WCW Captain Mike boat shirt - WrestleCrap - The Very Worst of Pro Wrestling! I know R.D featured this shirt years ago on the old site but I just had to show it again. Mike Rotunda went from the captain of The Varsity Team, to the captain of a boat (huh?) and he got his own shirt. His own really weird caricature shirt. And it could’ve been yours for just 15 bones! If any of you crappers have one of these for sale or find one on eBay or whatever, please email R.D and let him know because he still wants one! 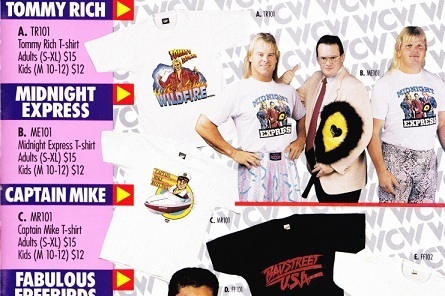 7 Responses to "Someone Bought This: The infamous WCW Captain Mike boat shirt"
I like the Midnight Express and Badstreet USA shirts, but I don’t really get the other one. Wildfire Tommy Rich former NWA Champion (rumored to be thanks to his ahem…oral skills). 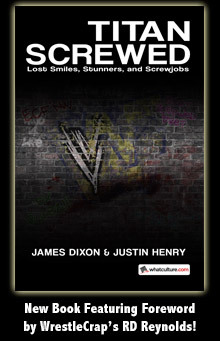 Also went on to manage the FBI in ECW for a few years…was also in the York Foundation for a spell. I’d wear that shirt 100% unironically. I actually wish I could get my hands on that Midnight Express shirt.